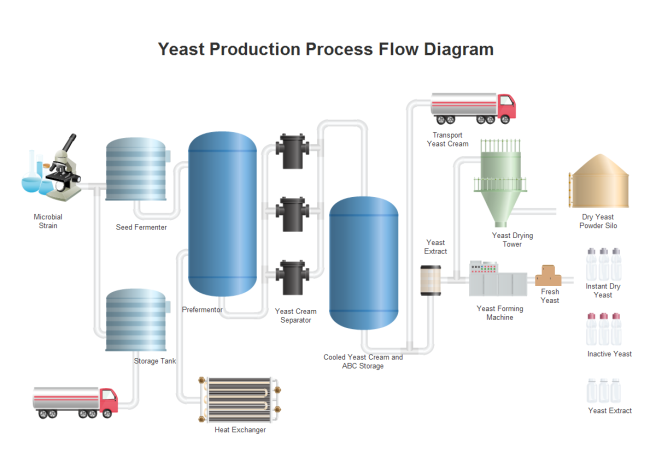 Description: Take a look at a customizable yeast production PFD template. It is provided for free download and print. The symbols used in the template are vector smart shapes with floating action buttons.